WordPress is great and if you keep everything up to date and healthy, you shouldn’t get any problems. But…. 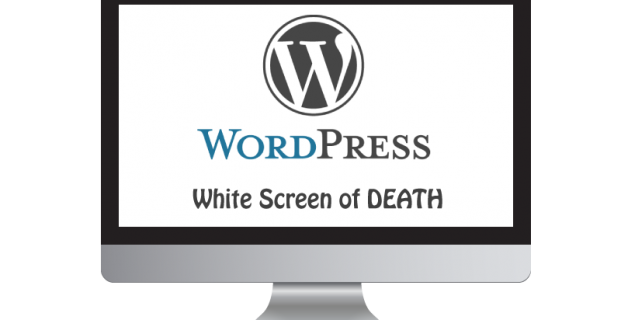 One of the things that can go wrong is the infamous White Screen of Death(WSOD). There, your site is not displayed and all you get is a white screen with no access to your admin panel. Disaster! What causes the WSOD? Well, basically it means something has gone wrong with the PHP code that controls your WordPress site and WordPress is no longer able to work. It could be a PHP memory error, broken code or damaged database. How does this happen? On rare occasions, the site could be hacked, but taking a website down isn’t really the purpose of hacking. Typically an update to a plugin or to WordPress itself is what causes the problem. Either the theme or one of the plugins has code that is no longer compatible and causes a PHP error that breaks the site and doesn’t get displayed. How do you fix it? Well you need FTP and/or web hosting control panel access. You then check the website error logs and try to see what the PHP error message is, this typically identifies a plugin that is causing a problem. The usual method to fix is to deactivate the plugins via FTP, get the site up and running and then start updating plugins and themes and re-activating them one at a time. There may also be work to repair the database via PHPMyAdmin as well. This all sounds far more complicated than it actually is. If you have a good grasp of using FTP, it’s no big deal.